Aaron graduated from Yale University with a BA in Music, after which he moved to New York City and worked as an actor for several years. Aaron was an understudy Off-Broadway for Tony Kushner's BUT THE GIRAFFE/BRUNDIBAR directed by Tony Taccone. 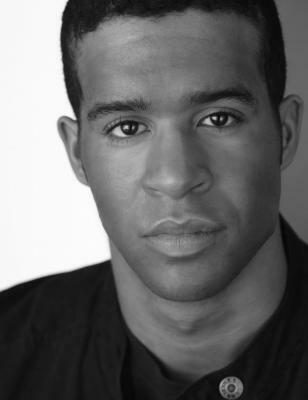 He also played Titus in the NYMF production of ANGELS at The Duke on 42nd Street. He played Bert in the World Premiere of MEET JOHN DOE at Goodspeed's Norma Terris Theatre and appeared in SHOW BOAT at Carnegie Hall directed by Francesca Zambello and conducted by Paul Gemignani. Aaron relocated to Glasgow to pursue his MA from the Royal Conservatoire of Scotland (formerly the Royal Scottish Academy of Music and Drama), which he now holds with Distinction. He now resides in London and works as an actor, composer, arranger and playwright. As an actor, Aaron most recently appeared in the UK Premiere of the Tony Award-winning URINETOWN The Musical at the St. James Theatre, directed by Jamie Lloyd. Other West End credits include: SHREK The Musical at the Theatre Royal Drury Lane (understudied and played Donkey) and SISTER ACT at the London Palladium (understudied and played Eddie). Aaron played Luke in the London Premiere of NEXT THING YOU KNOW at The Landor and was also seen in JERRY SPRINGER The Opera and FIRST LADY SUITE at Edinburgh Festival Fringe. Aaron wrote book, music and lyrics for FROM UP HERE, a new musical that received its World Premiere in June 2012 and was broadcast live on Whatsonstage.com. The original cast recording of FROM UP HERE is available on iTunes, CD Baby, Amazon, Dress Circle and the Perfect Pitch website, and the original webcast will soon be available through Digital Theatre. Extensive teaching experience (acting/singing), ages 3-18. Stephen Sondheim Society Performer of the Year Finalist 2009. Extensive a cappella singing experience, musical directing experience, arranging/transcribing, playwriting, composing.